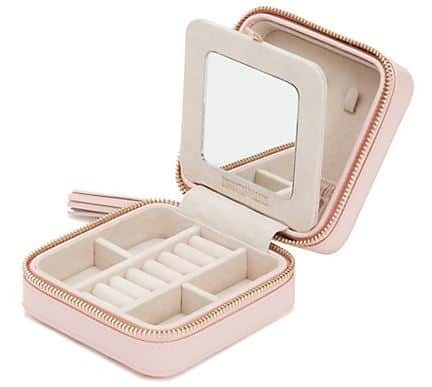 This Profesional Makeup Organizer has an abundance of compartments and pockets to keep makeup, jewelry, and other small items organized and in reach. 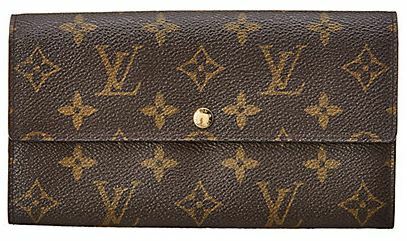 If you like changing up the look of the bag you carry with you, a convertible bag is the way to go. And, this Aztec Convertible Backpack is super cute and the perfect option. 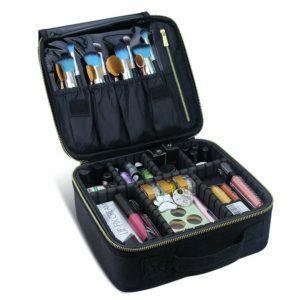 Get this for $40, down from $90. Don’t settle for one bag when you can have both. You can’t go wrong with these gorgeous striped and embroidered bags. 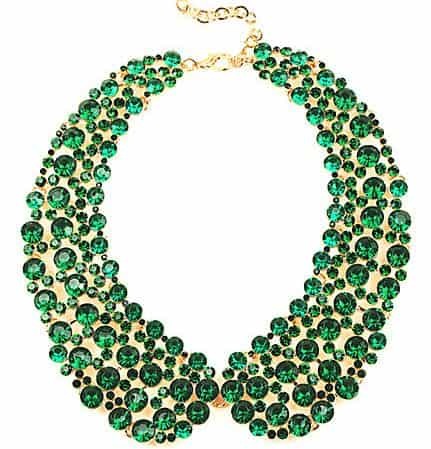 This features an adjustable strap so it can be used as a backpack or a crossbody/shoulder bag. I love the flexibility of this bag. Backpacks and crossbody bags are easier for when you’re out for a long period of time, and I love shoulder bags for when I go shopping. 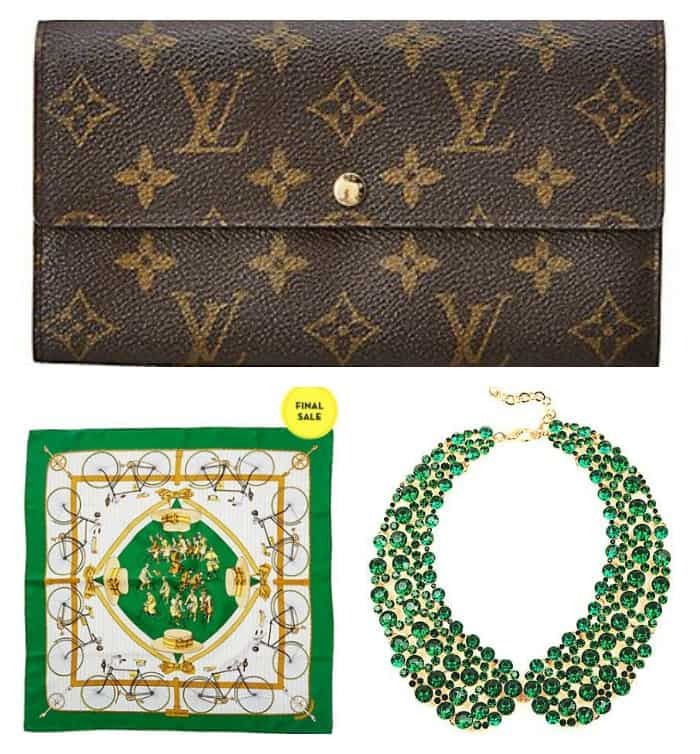 This is definitely one bag you’re going to want in your collection. 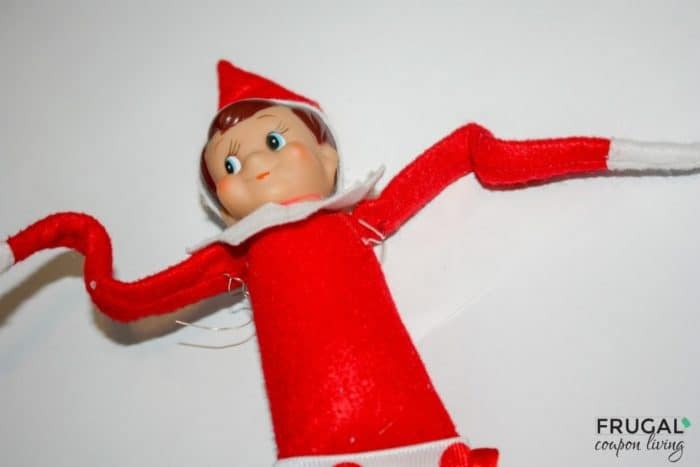 The number one question we get in all of Elf on the Shelf Ideas is How to Make Elf on the Shelf Bendable? Typically How did you do that? 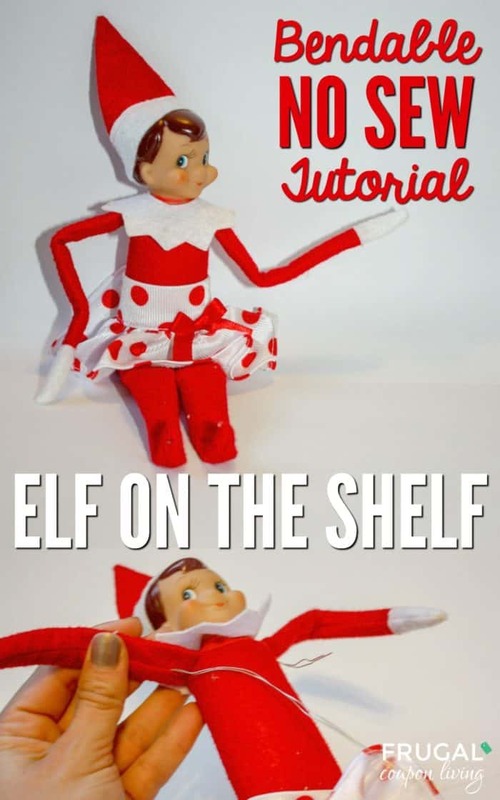 This poseable Elf five minute tutorial answers all your questions! 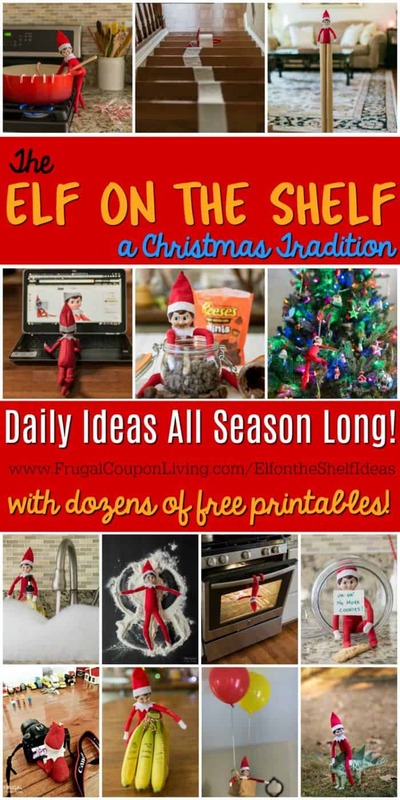 See well over 100s of creative, funny, and original ideas for your Elf plus free printables. We have had many loyal followers of our Elf on the Shelf Ideas. A new idea began every day in the month of November and December since. We calculated that and it is over 350 ideas. 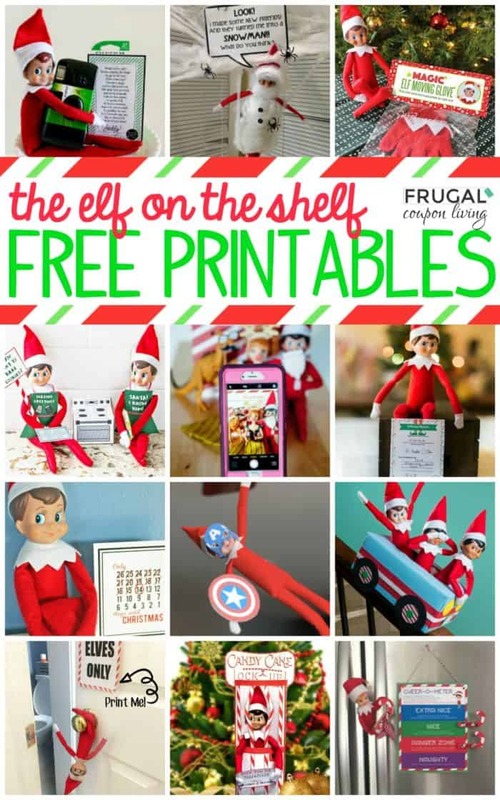 Not only ideas, over dozens of free printables! That being said, I was talking ot one of our loyal viewers and she asked “how did you do that?” Elf was bent a really funny way. I was shocked that she didn’t know how to make five minute bendable elf. If she didn’t know I wondered how many of you didn’t know. 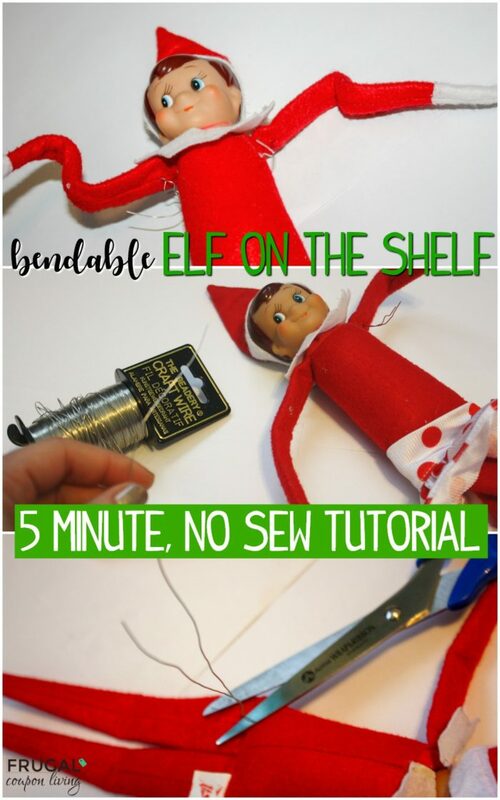 Thus, I reproduced our original post No Sew Bendable Elf on the Shelf Tutorial into a new post – How to Make Elf on the Shelf Bendable! 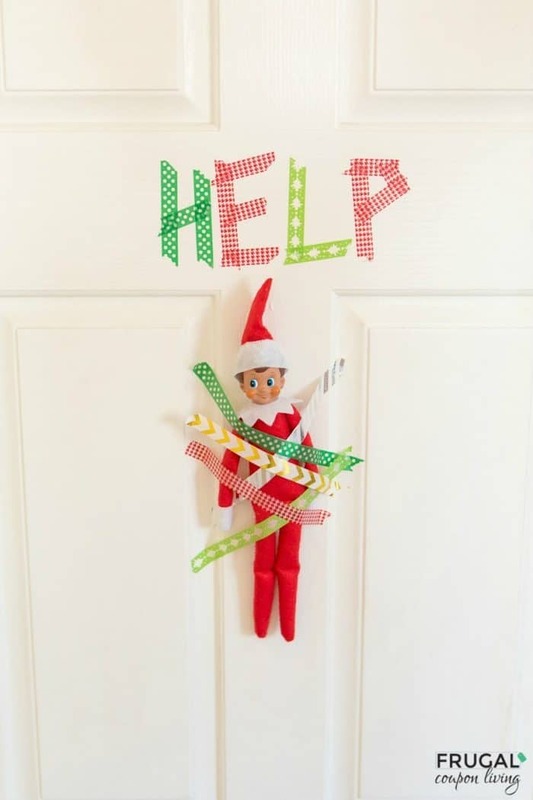 We want your special elf to bend, hang, hug, groove, jig and do more. First, the thicker the Craft Wire, the better. You want to make sure you can easily cut it and slip it through the seam of the elf… so while paper clips have been done, they are as thick as I would go. My craft wire was thin, so I doubled up by folding it in half. Lift up the arm pit and slide about three inches of wire into the elf’s arm. Like I said, I folded my wire to thicken it and make Elf have a stronger bend. Next, trim the excess wire. Repeat under the second arm pit. 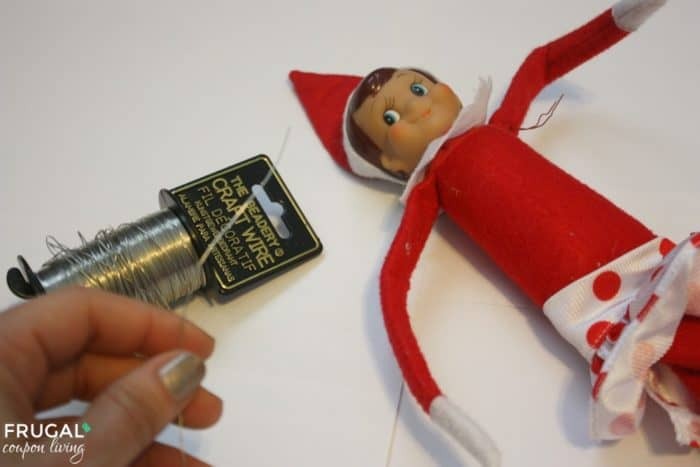 Keep in mind, most Elf on the Shelf dolls have a seam at the knee so you will need to place a lower and upper craft wire (calf and quad) in each leg. Go behind the Elf’s bottom, slide in a new wire. This one will only be around an inch and a half as you are only going the length of the quad. Repeat behind the second leg. Next, slide a new wire into the toe seam to the knee. 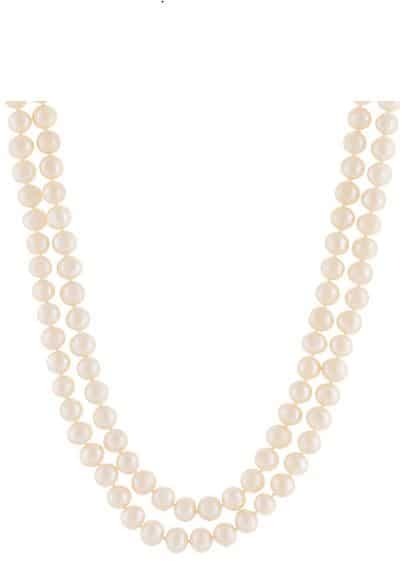 This is about an inch in length. Lastly, trim all excess wire. See if you can make that funny bend below! Make sure you say good-bye. 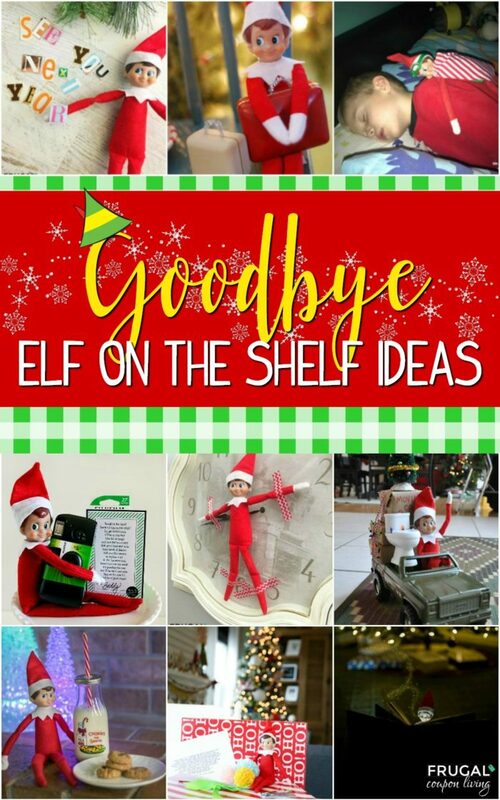 Look at these creative Goodbye Elf on the Shelf Ideas. 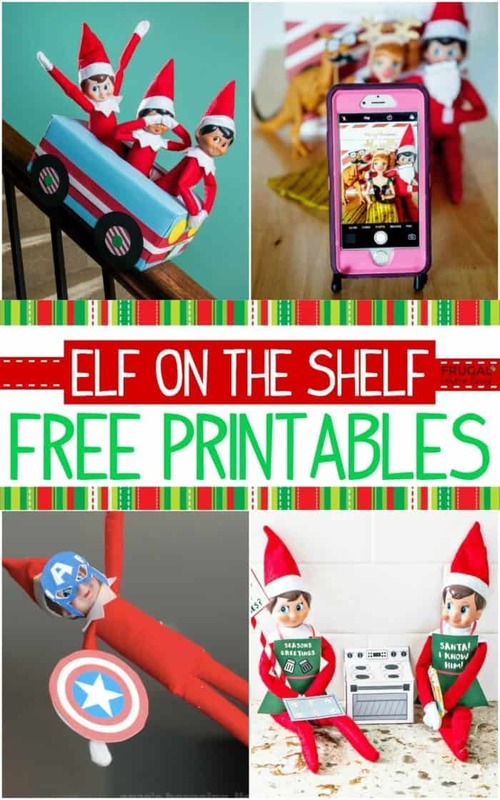 Pin to Pinterest your Elf on the Shelf and Christmas Pinterest Boards. 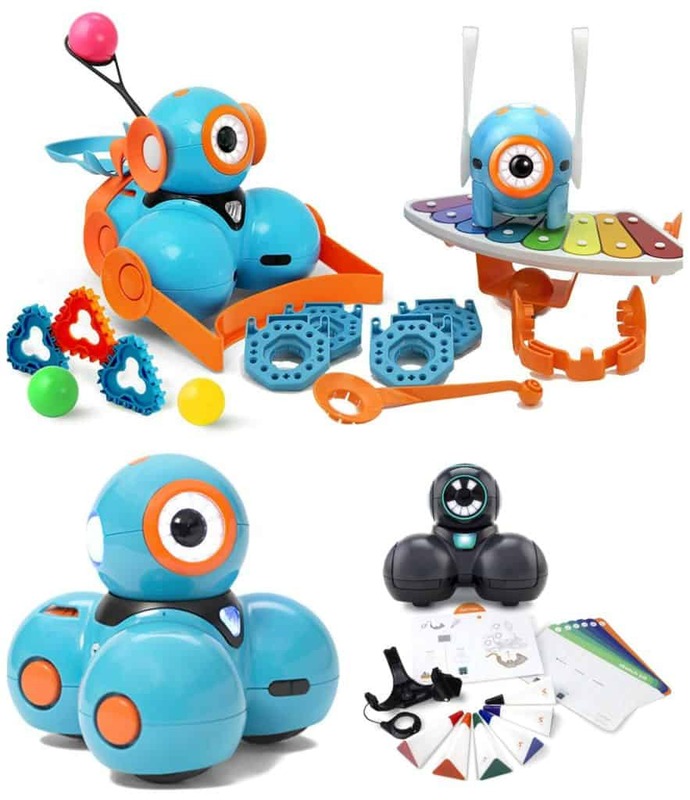 If your kids are into STEM activities and like to do things with electronics and coding, this is a great time to get them some fun learning toys for Christmas. 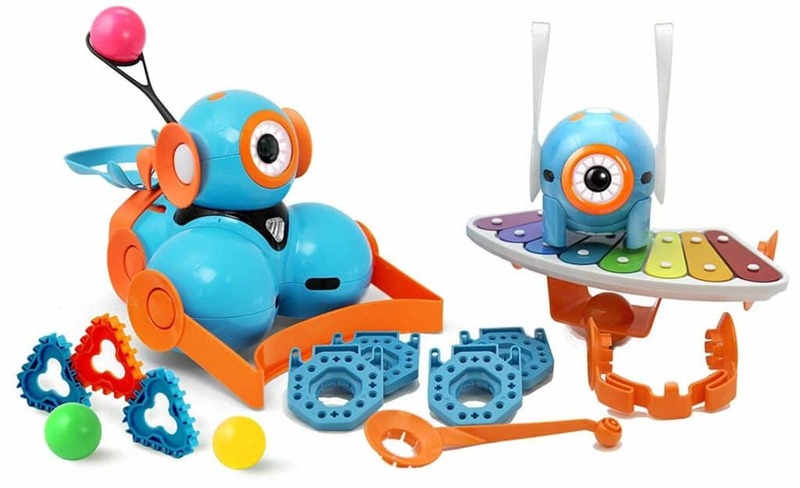 Today only, you can get 50% off Kids Coding Robots and Accessories. 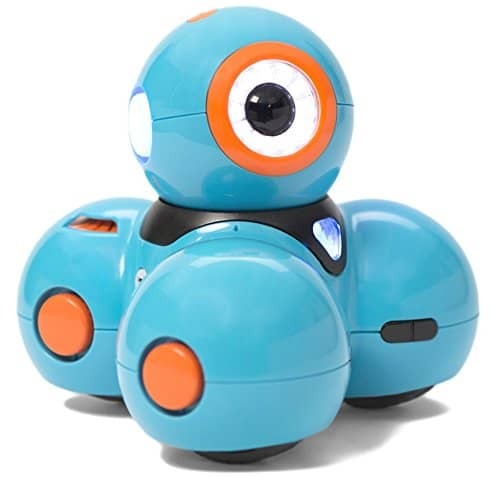 This voice activated Wonder Workshop Dash Coding Robot responds to voice commands or any of our five free downloadable apps to sing, draw, and move around. 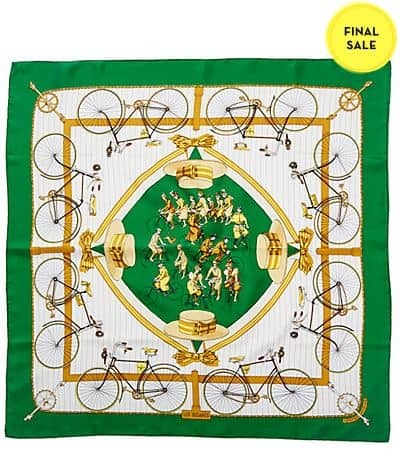 Our daughter has this one, and she loves it. And, there are apps for smartphones and tablets that you can use to control it. The Wonder Workshop Dot and Dash Robot teaches your child block-based coding skills and comes with a lot of accessories – building brick connectors, charging cords, a tow hook, a bulldozer bar, a launcher and balls, target stickers, a bunny ears and tail set, and a xylophone. It has hours of interactive challenges and 5 free apps for endless hours of fun. 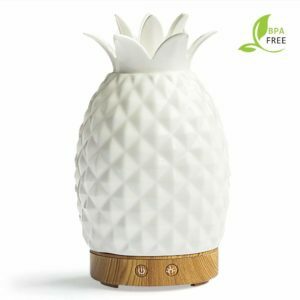 The extra fine ceramic filter and advanced Ultrasonic Diffusing technology of this LED Pineapple Diffuser breaks water and essential oils into extremely fine micro-particles. Perfect for masking stubborn odors. The soothing LED Light cycled through colors or set it to one fixed color.